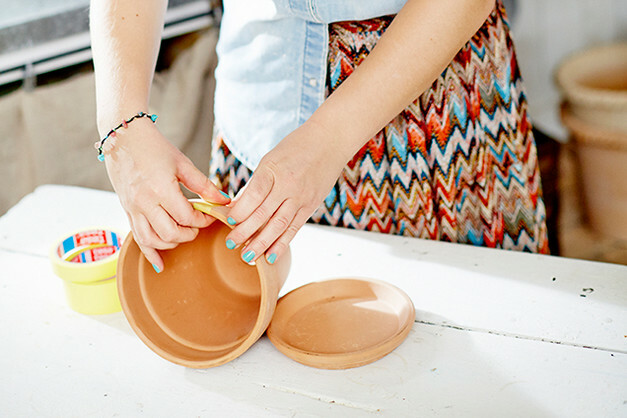 Classic terracotta pots do not need to be only classic. 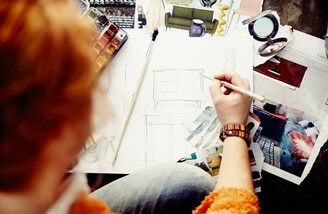 Instead, you can create your individual style with paint and own-designed patterns. 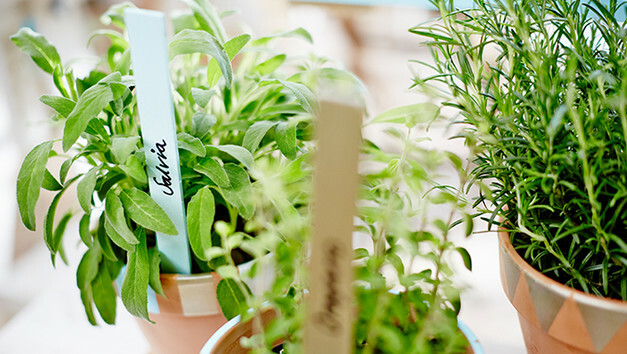 The personal touch is strengthened with painted plant label sticks. 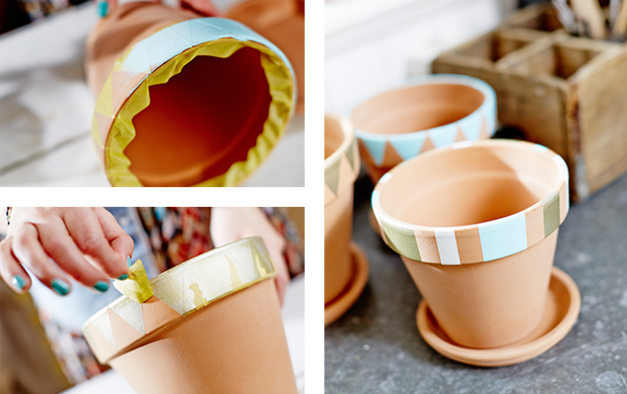 Painted pots are a simple way of creating pleasant decoration both indoors and outdoors. 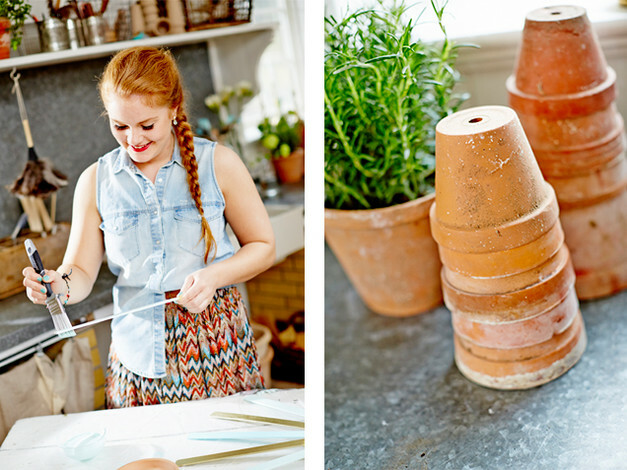 Julia has several terracotta pots in two different sizes, and chooses here to make two different patterns at the top of the pots – one with stripes with different spacing, and one with a uniform triangular pattern. Patterns and colours can of course be chosen according to your mood and taste. Julia varies with gold, turquoise and white. To obtain good results, the surface to be painted must be in good condition. Ensure therefore that the pots are clean and dry before starting. The table where the painting will be done must be covered with a plastic sheet to protect against any paint splashes. 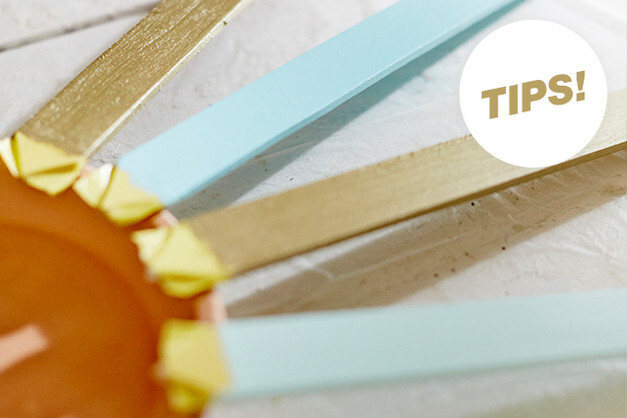 Julia uses Tesa Precision masking tape to obtain sharp edges when she paints. 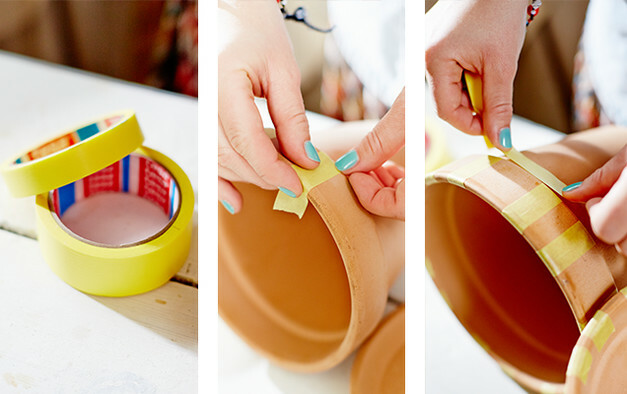 The tape must be pressed down hard onto the surface, and curled over the edges of the pots. When the tape is in place and marks out the pattern, Julia paints twice with a small Platinum oval brush. The tape is then removed immediately afterwards, and the paint left to dry. 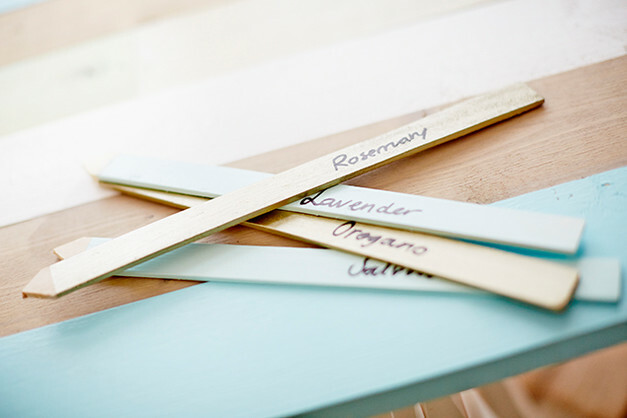 Several untreated plant label sticks are then painted twice with window paint using a Platinum angled varnish brush. When the paint has dried, the names of the vegetables or herbs are written with a felt-tip pen. The label sticks are then ready to use in the pots. Would you like to see more exciting projects for the patio? Read about how to paint tables and cushions, and how to build your own plant wall. USEFUL TIP! Place a small piece of tape on the bottom end of the stick so that you can easily hold the stick when you paint without getting paint on your fingers and hands.